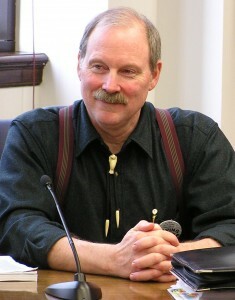 Senator Bert Stedman is a fourth-generation Alaskan. His great-grandfather, Charles Stedman, moved to Juneau from Washington State in 1902. In the hundred years since, the Stedman family has shown an enduring commitment to Southeast Alaska. In 1908, the Stedman family homesteaded in Kake, where Charles operated a fox farm and worked as a hunting guide and shipwright. Senator Stedman’s grandfather, Ken Stedman, his father, Ken Jr., and his mother, Bernice Espeseth, were all born in Southeast Alaska. His mother’s family migrated from Norway in the 1920s and settled in Petersburg, where his mother was born. Bernice’s family and their descendants have fished out of Petersburg for over 85 years. Bernice named Bert after her father. Ken Stedman Jr. met Bernice Espeseth in high school. After graduating from Petersburg High School, Ken enlisted in the U.S. Army. Bert and his sister, Larine, were born at the Elmendorf Air Force Base in Anchorage, where the family was stationed. After Ken Jr.’s Army service was completed, the family returned to Petersburg, where Bert’s younger brother, Karl, was born. In 1969, Bert’s father bought an independent insurance agency in Sitka and moved the family there. Stedman Insurance continues to operate throughout Southeast Alaska and has been run by Bert’s brother Karl. His sister Larine continues to make her home in Petersburg. Senator Bert Stedman attended Sitka High School, where he was a founding member of the Sitka swim team. He spent his summers commercial fishing out of Petersburg, he long-lined and seined throughout Southeast Alaska. After graduating in 1974, he worked in the heavy construction industry and continued to fish commercially for several years. Over his fishing career, Bert fished from Dixon Entrance to the Bering Sea. Senator Stedman attended Lane Community College and the University of Oregon in Eugene. He studied business and finance and in 1985 graduated from the University of Oregon with a bachelor’s degree in business administration. He then returned to Sitka and founded Pioneer Capital Management. Bert has successfully operated this personal investment services firm from 1986-2016. Bert met his wife Lureen in Oregon. They were married in 1991. Their daughter, Susie, was born in Sitka and is a graduate of Sitka High School. Bert has been active in local government. He served eight years on the Sitka Planning and Zoning Commission and four years on the Sitka Assembly, including one year as deputy mayor. Bert was appointed chairman of the Sitka Permanent Fund Committee. As chairman from 2000-2001, he was instrumental in modernizing management of Sitka’s Permanent Fund and moving it to a percent of market value (POMV) management style. In 2003, Governor Frank Murkowski appointed Senator Bert Stedman to the Alaska State Legislature as a State Senator. Senator Stedman was then elected to the seat in 2004 and reelected in 2008, 2012 as well as in 2016. Senator Stedman served as Co-Chairman of the Senate Finance Committee from 2007-2012 and again in 2019. He also serves on the Legislative Budget & Audit Committee and the Legislative Council Committee. 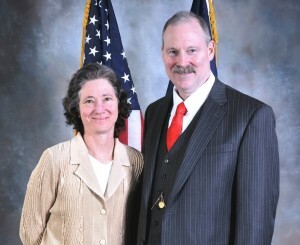 Senator Stedman is an active member of the Ketchikan, Sitka, Petersburg, Wrangell, and Prince of Wales Chambers of Commerce, Elks Lodge, Masonic Lodge, Sons of Norway and the National Rifle Association. He is a Paul Harris fellow and former Rotarian.